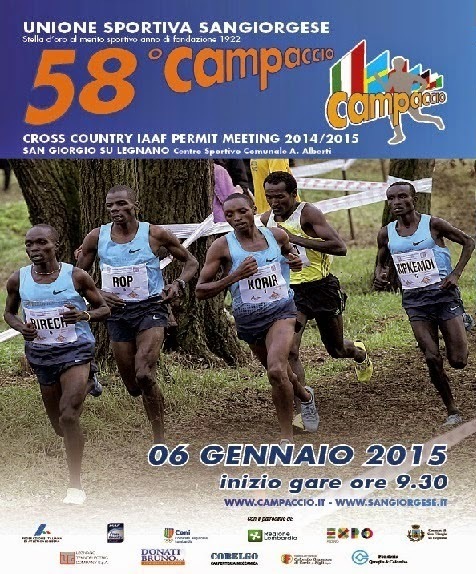 Next Tuesday,holiday in Italy,it will be the day of Campaccio Cross,one of the most historical xc competition in our nation and this year elite field created by racedirector Marcello Magnani is something very interesting more than other years. Race will be different as last years and the big duel will be absolutely between Daniele Meucci ,european marathon champ, Andrea Lalli, 2012 european cross country champ from italian side. Against them top contenders will be for sure Dathan Ritzenhein who doesn't need any kind of presentations and Mo Ahmed who will keep very tough and interesting the battle. Absolutely amazing and reallly high level ...Kenian trio will probably lead the race and doing the race very hard from beginning with Jepchirchir ...but attention to sprint of Kisa and fast long kick from Betsy Saina.US Neely Spence and Almenesh Belete could be the outsiders with ethiopian Woldu too.Italian side with an agressive DelBuono and Silvia Weissteiner.